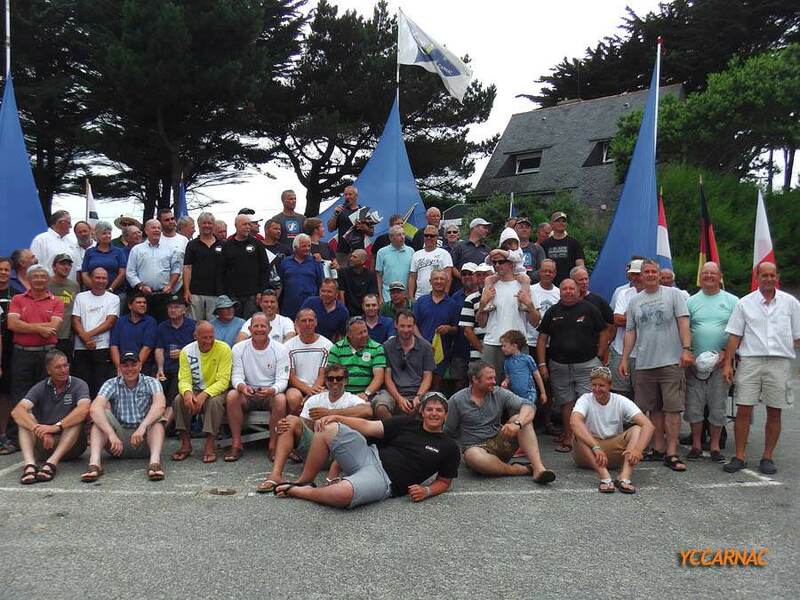 The 2013 OK Dinghy Europeans Championship gets under way at the Yacht Club de Carnac, France this weekend. The OK Dinghy class only holds a Europeans when the world championship is outside Europe, so it follows on from the class worlds in Thailand at Easter. However such is the dynamic and the spread of the fleet that only 17 of the 68 entries for Carnac were present in Thailand, so for many sailors this will be their major event of the year. The 68 sailors heading to Carnac come from 10 countries and include sailors from Australia and New Zealand. 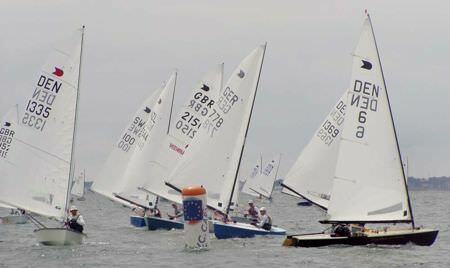 Unlike some classes these sailors are able to take the overall title; there is no continental segregation in the OK Dinghy class. Bringing the championship to France has also boosted the home fleet with an encouraging 14 French entries, the highest number at an international event for many years. The line up also includes four former world champions, one of which, the four time world champion Nick Craig (GBR) is also the only sailor present to hold the European title, and that was 11 years ago. 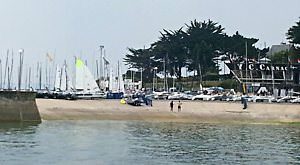 Neither the current world champion, nor the current European champion, nor the world No.1 will be present in Carnac, but the fleet is so deep and competitive that there are still plenty of big names taking part. The 2002 world champion Greg Wilcox (NZL) is back again, as well as the 2009 world champion Thomas Hansson-Mild (SWE), while this year also brings the return of the 2004 world champion Jim Hunt (GBR). Hunt has only sailed a handful of OK Dinghy regattas since his world title in 2004, but he is sure to be a strong challenger nevertheless. While the largest team is from Great Britian, the Danes are fielding a very strong team as usual with world No. 3 Stefan Myralf (DEN) hoping to improve on his eighth place at this years worlds while world No. 7 Bo Pettersen (DEN) has been putting in some good domestic results and should be near the top. 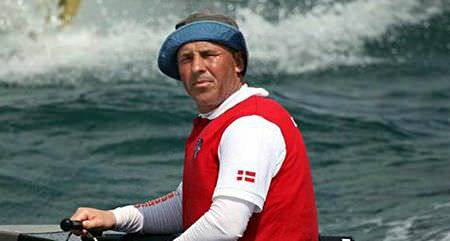 For Myralf it will be a return to the place where he won the Laser European Championship 32 years ago. His world No. 3 ranking is his highest ever and he has competed in more qualifying regattas than anyone else in the top 30. He just placed second at Warnemunde Week and third at Swedish Nationals. He has been putting the time in and with a new boat, could well be the surprise of the week. One place ahead of Myralf in both those regattas was Wilcox, who while being New Zealand's only entry lives in Germany. As well as winning Warnemünde Week, he also picked up the silver at the Nordics earlier this year. Most sailors are expecting a light week, conditions in which Wilcox usually excels. Another favourite has to be Hansson-Mild. He has already won the Nordic and Swedish Championships this year and took bronze in Warnemunde, though he skipped the worlds. In spite of the fact that he has done very little OK Dinghy sailing since the worlds this year, Craig goes into the Europeans as one of the clear favourites. His record speaks for itself and he can never be discounted. How well the others go we'll have to wait and see. There are a lot of new names in the class this year, so predicting the form is not easy. 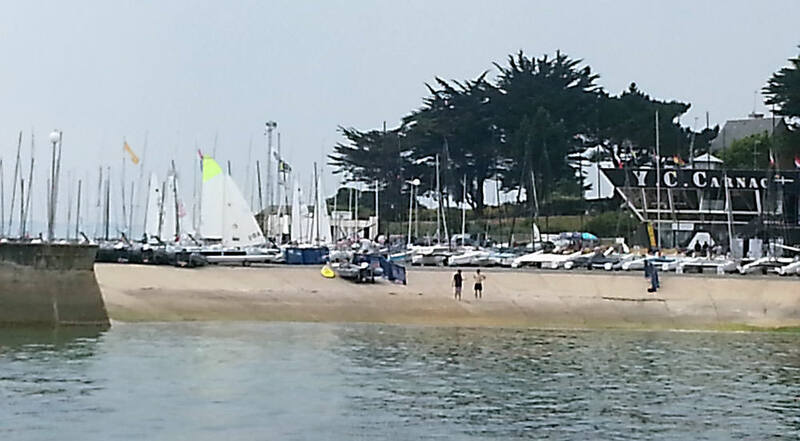 In Carnac, registration and measurement begins on Saturday 20 July with the practice race on Sunday afternoon. The 10 race series takes place from Monday 22 through to Friday 26 July. The OK Dinghy European Championship got under way in Carnacn France on Sunday with a practice race that was soon abandoned as the already light wind deserted the fleet. With 70 entries the fleet are enjoying French hospitality with temperatures in the low 30s. The practice race was started in just 2-3 knots of wind and was abandoned when the time limit to first mark expired, as the died out. The first championship races are scheduled for 13.00 on Monday. While much of Europe sweltered in high temperatures and light winds, the 2013 OK Dinghy European Championship in Carnac, France got under way on schedule with two great races sailed in a moderate sea breeze. The 2009 World Champion Thomas Hansson-Mild (SWE) is the early leader. The fleet enjoyed two good races and managed to start on time with the wind around 9-11 knots. The first race, after one general recall, was won by Bo Peterson (DEN) from Tomasz Gaj (POL) and Stefan Myralf (DEN). Tomasz had a good lead at the first mark but was slowly reeled in by Petersen. The chasing pack was also quite close and the whole fleet finished in a short time. The second race was won by Hansson-Mild from Jørgen Lindhardtsen (DEN) who at 68 years of age proves there is no limit. Myralf sailed very well again for another third place to sit in second place overnight. Lindhardtsen said he had a few problems with a jury boat taking photos however Hansson-Mild was just a bit faster. Petersen ended the day in third. One of the stars of the day was young Richard Burton (GBR). He was second to the first mark in the first race and bettered that in the second. Although very happy with this he said it is annoying as he keeps getting passed downwind. Lindhardtsen said that this will improve with age. The race committee seems very well organised and are setting very good courses so no one is complaining. Tonight there is the opening ceremony with oysters and punch. The championship continues at 13.00 on Tuesday and continues through until Friday, with a total of 10 races scheduled. There were tough conditions with big tide of more than 5 metres and winds between 4 and 8 knots on day two of the OK Dinghy European Championship in Carnac, France. The race committee kept the fleet ashore for a late start at 15.00. Race three got away off after a couple of general recalls. The race winner was Bo Petersen (DEN) after a tight battle with Tomazs Gaj (POL) and Stefan Myralf (DEN). For the second race the wind had picked up and early leader Christian Hedlund (DEN) who sailed well in both races and finished fifth in the first race. In the second race he started at the committee boat and got off in free wind on to the right side of the course and sailed a good first beat to round in the lead. Hedlund said, “It seems that you have to go for pressure as the wind was a bit low compare to the choppy waves." The chasing pack were a big bunch of Nick Craig (GBR), Jim Hunt (GBR), Greg Wilcox (NZL), Lee Child (GBR) and Thomas Hansson-Mild. Hedlund finished second and picks up 5, 2 and advances in the overall results. The winner of race 2 was Hansson-Mild and with two wins now leads the regatta by six points from Myralf. Wilcox had a much more consistent day with a fourth and a third, to be third overall on equal points with Gaj. Peterson, with a black flag, has slipped down the leader board but with two firsts and a sixth will come back into contention with a discard tomorrow. Hansson-Mild is happy with today's sailing and is looking forward to tomorrow. The championship continues at 13.00 on Wednesday and continues through until Friday, with a total of 10 races scheduled. After six races sailed at the OK Dinghy European Championship in Carnac, France, Bo Petersen (DEN) can discard his BFD from Tuesday and takes the overall lead, helped by a first and second in very tricky conditions on Wednresday. The fleet left the beach on time but the first race was postponed a short while until the wind settled. After one general recall the Danish team hit the right hand corner very hard and were nearly all in the front group at the top mark. Bo Petersen had a small lead which he extended around the course to win from Stefan Myralf (DEN) and Greg Wilcox (NZL). Thomas Hansson-Mild (SWE) the overnight leader was somewhere in the 50s at the first mark but recovered to 15th. 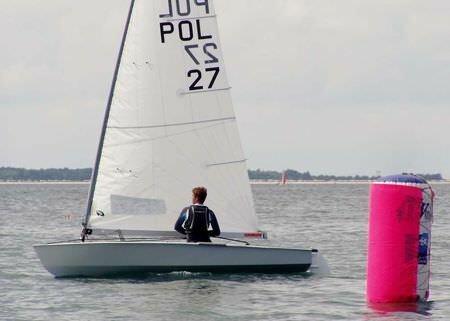 The second race started in very light winds and young David Kania (POL) got a good start and was first to the right hand corner. Petersen was also there with Myralf and they were the first three at the top mark. After the reaches the wind died completely and the fleet flopped around at the bottom mark. The leaders had wind though and just disappeared. When the wind finally came back there was so much separation in the fleet that a lot of boats could not manage the time limit against the tide in a dying breeze. Of course the sea breeze filled in so everyone could get back to the harbour. The championship continues at 13.00 on Thursday and continues through until Friday, with a total of 10 races scheduled. On the fourth day of the OK Dinghy Europeans in Carnac France, only one race was managed in the ongoing tricky conditions. Dawid Kania (POL) seems to know what is going on though with his second race victory for move up to sixth overall. However, the maths is now getting more complicated as Stefan Myralf (DEN) picked up a second place and is now only trailing championship leader Bo Petersen (DEN) by just one point. Young Pole Kania, scored his second consecutive win in this series. The top is still very close so both Thomas Hansson-Mild (SWE) and Tomazs Gaj (POL) could still come from behind and take the title if the two leading Danes had a bad race. Other than Kania moving up the top ten stayed in the same order, though it is still all up for grabs on the final day – if the wind shows up. The championship concludes on Friday. The OK Dinghy European Championship in Carnac, France, concluded on Friday without another race being sailed. Very light winds kept the fleet on shore all day in the sunshine. So Bo Petersen (DEN) won the title from Stefan Myralf (DEN) and Thomas Hansson-Mild (SWE). Myralf took a very close second, with both Danish sailors sailing the new SOTA hulls from Denmark, which are clearly quick in the light conditions in Carnac this week. Myralf wanted the chance to sail today but it wasn't to be.